Nicki Minaj and Cardi B were reported to have just had physical fight at the Bazaar Icon’s party. 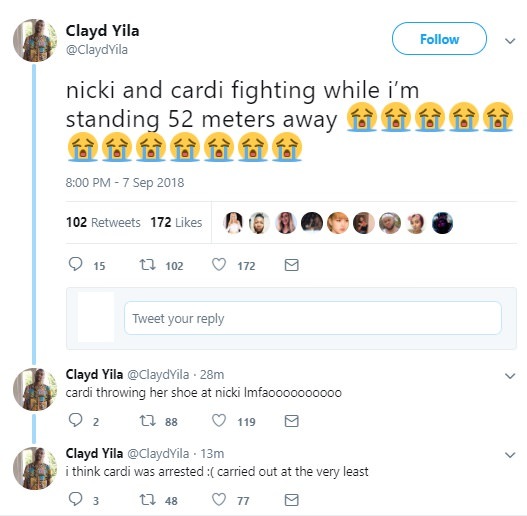 Others who have attended have also reported that Nicki and Cardi fought. Cardi putting herself together after the fight with Nicki. 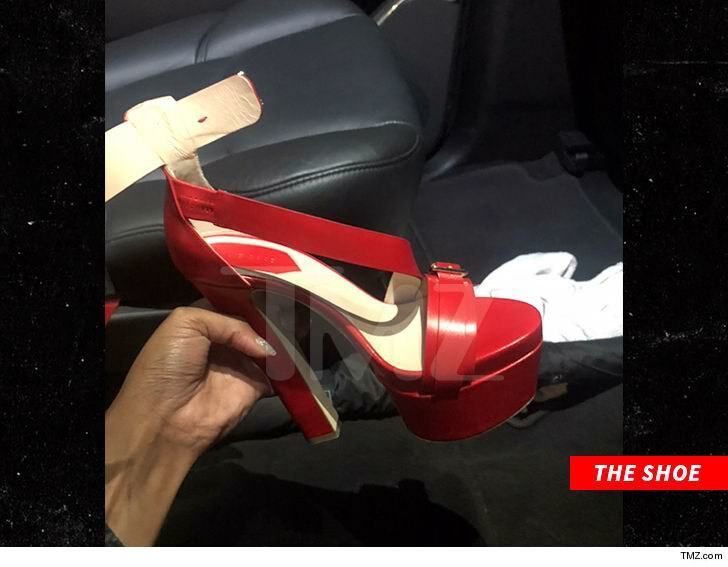 It’s reported that Cardi B also threw her shoe at Nicki Minaj. 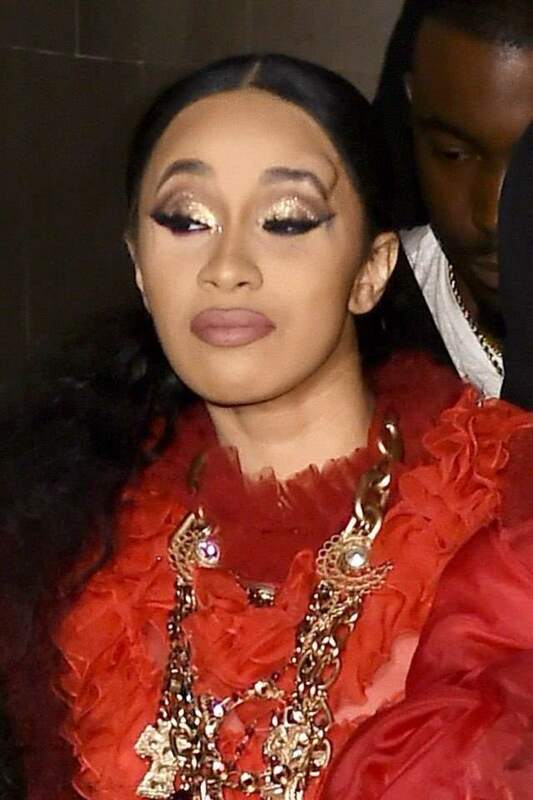 Cardi B is reported to have a lump on her head. Apparently Cardi B mentions that her daughter was being talked about and she heard them, which may be the reason for the altercation.